Gostar started as a golf glove manufacturer in 1998. With the expending in the past decade, it becomes one of the leading manufacturer of golf products such as golf bags, golf headcovers, golf accessories and still is the most important supplier of golf gloves. Owning three independent workshops for different products, with rich experienced designer and skillful sewing technicians, using premium raw material, advanced equipment & strict quality control, it insures our products in advanced quality, durability and novelty. Our strong product designer team can realize customer’s ideas to new products in a very short time. All products can be made with custom logo and designs. 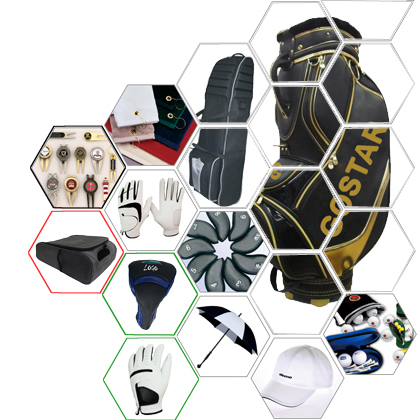 To cater for client' s wider requirements and provide better service, we have built good relationship with many golf accessory factories to supply customers with high quality products in very competitive price, including golf balls, golf grips, clubs, tees, towels, umbrellas, golf apparel etc.